Full of an assortment of edible treats. Biscuits, chocolate eclairs, mints, fondant creams, make your own kits - it could even include a hamper, jams or chutneys! With a combined original price of at least £40.00, NOW ONLY £20.00! Please note minimum three items per parcel, best before date within one month. 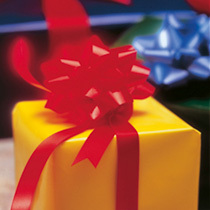 Items may be supplied in Christmas/festive-themed packaging.